Enable clients to pay their invoices with ease. With autopay, your clients authorize you to collect payment for their sessions as soon as they are billed. After you add a client to your account, all of their information can be accessed from this page. 3. Click "Add credit card," and this box will pop up. Enter your client's payment information, check the box that says "Enable automatic payments..." and hit "Save." You're all set! 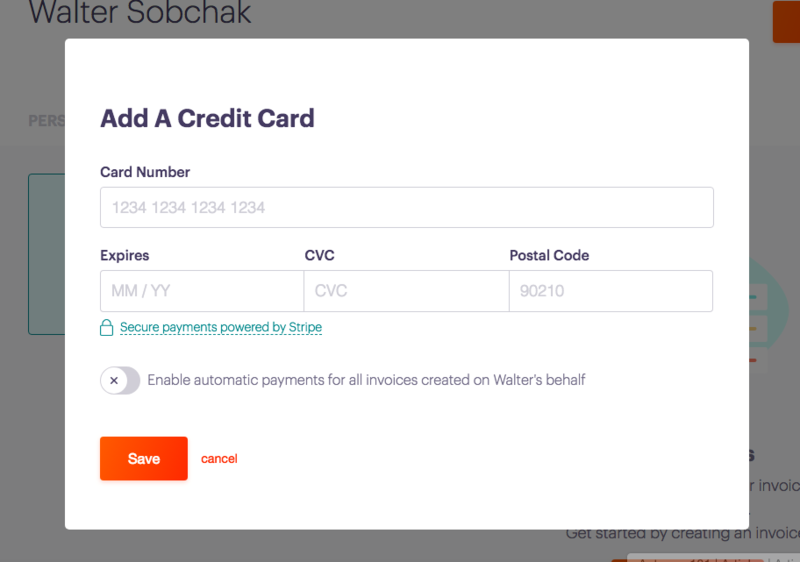 Clark uses Stripe, a payment processor used by companies like Amazon and Lyft. Working with a payment processor like Stripe allows Clark to issue refunds and process payments — all while keeping your personal information safe and secure. You can learn more about secure payments with Stripe here.